The Palatine Hill is some 40 meters high with views of the Roman Forum on one side, and the Circus Maximus on the other. The site is now a large open-air museum which tourists can visit during the daytime. The entrance could once be found in the Roman Forum near the Arch of Titus, but this is now an exit. There are two entrances, one on the Via Fori Imperiali, the other on Via San Gregorio. Palatine Hill is generally quite busy during the daytime so it is best to get here early to beat the crowds. It is thought that Rome has its origins on the Palatine. Recent excavations have shown that people have lived on the site since approximately 1000 B.C. According to Roman mythology, the Palatine hill was where Romulus and Remus were found by a female wolf that kept them alive. After which, according to this legend, a shepherd named Faustulus found the infants, and with his wife Acca Larentia raised the children. 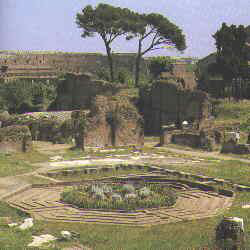 Later when they were older, Romulus chose this site to build the city of Rome. 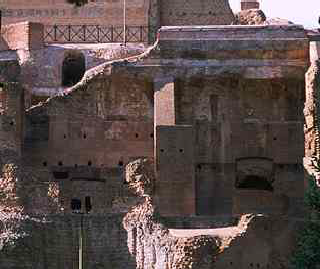 With the development of Rome and the continued embellishment of the Forum, the Palatine, due to its close proximity to the seat of power, it became "the place to live". Here the air quality was much better. It also has the benefit of splendid views. So it became the place for the very powerful and wealthy chose to build their homes. The future emperor Augustus was born on the hill in the consulate of Cicero. Eventually the emperors took over the hill completely. 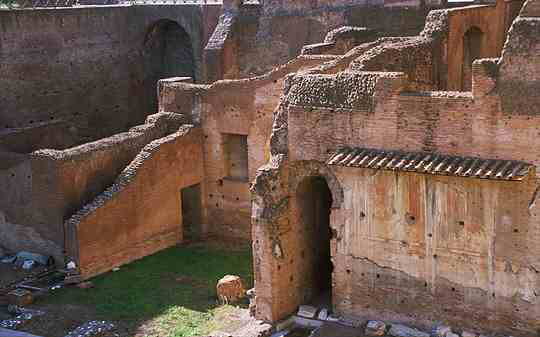 Domitian had his architect, Rabirius, radically re-landscape the hill and had many new buildings constructed. 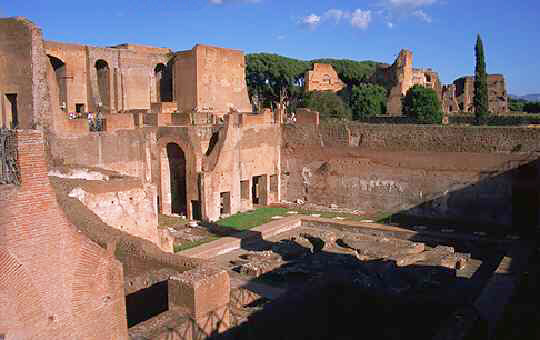 The Palatine became the place where the powerful and wealthy retreated to build their homes and relax. Among the ruins on the hill can be found, the Domus Flavia, the Domus Augustana, the Baths of Septimus Severus, and the House of Livia. At the top of the hill, overlooking the Forum, are the Farnese Gardens. Designed by the Renaissance architect Vignola, the Farnese Gardens, in Italian Orti Farnesiani, were created for a member of one of the great papal families, Cardinal Alessandro Farnese. The gardens contain many varieties of plants including , boxwoods, orange trees, rose bushes, and oleanders. Once the Farneses died out, most of the villa was dismantled and the gardens fell into disrepair.